Looking for an engaging and energetic speaker for your next conference, retreat, meeting, or workshop? I’m passionate about inspiring healthy change through sharing stories and knowledge in a relatable and fun way. I believe that we all have the power within ourselves to live our best and healthiest lives and with a little guidance and inspiration, we can all get there! My passion for making the topics of nutrition an sugar addiction easy to understand and simple to implement is my gift. Don’t take my word for it – take a look at what past event organizers have said below. Dani is a delight; her natural charisma and energy are only surpassed by her vast knowledge of her topic, and her warm and generous interactions with participants. If you are looking for a powerful healthy living message that inspires people to take action, then look no further than Danielle; you won’t be disappointed! An engaging and powerful presentation on the 3 pillars that anyone needs in order to create LASTING freedom when it comes to sugar and food in their lives. Attendees will leave this talk feeling inspired and educated to start tackling their journey to sugar freedom. They will understand what their version of healthy moderation and balance means to them. They will also have clear “next steps” and motivation to start moving forward to better health. An eye-opening and inspiring explanation of why we should care about sugar, how it works in our bodies, where it’s hiding, and how to start tackling sugar addiction in a real and lasting way. Attendees will uncover the truths behind the role that sugar is playing in their life and food choices. They will have a true understanding of WHERE sugar is hiding so that they can start making healthier choices today. And best of all, they will leave feeling empowered and inspired to take action! An eye-opening and lively talk discussing the various triggers that we have round sugar as well as where sugar cravings come from and how to tackle them. 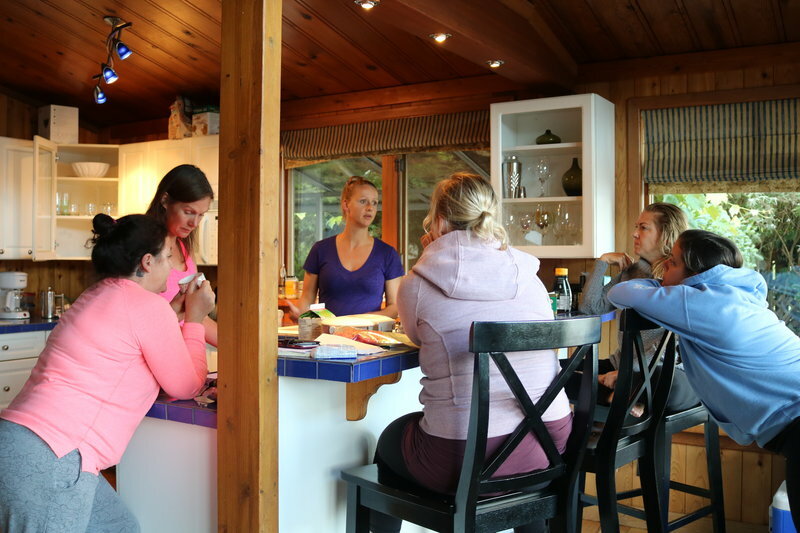 Attendees will dive deep into understanding the role that sugar plays in their lives and where their trigger areas are. They will leave with the knowledge that they need to start kicking their sugar cravings once and for all. I’m excited to work with you to create a powerful presentation that works for your audience. Whether you need a full day workshop, a keynote speech, or a 30-minute lunch and learn discussion, I will create a powerful and engaging talk tailored just for your audience. Contact me and let's get planning! I feel so blessed to have had Dani come and talk to our school community about the impact of sugar on our children’s lives and its effects on our children’s learning. Dani is a dynamic, passionate speaker with a wealth of knowledge to share! What a great hands-on and inspiring workshop. Thank you, Dani! Organizing an event with Dani was a breeze. She is thoughtful, organized and enthusiastic about her offerings. 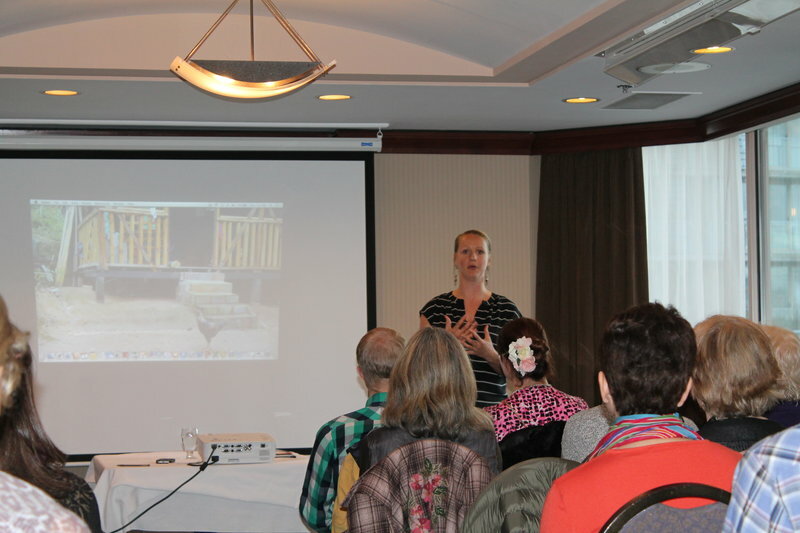 She is a great listener and was able to tailor a workshop to appeal to our clientele. She delivered the material with awareness and curiosity, which was an angle our students could relate to. She kept the information simple and informative and allowed space for questions and conversation. I would absolutely host Dani again! She has a lot of knowledge to share and her presence is infectious! 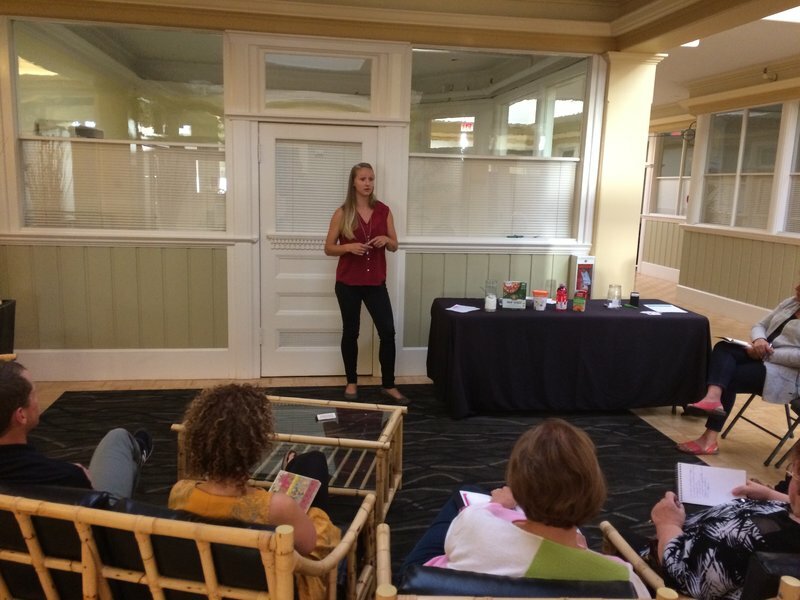 I hosted Dani at my Chiropractic clinic for a talk on sugar and the harmful effects it has on health. The big impact that I saw during the presentation, and afterward having heard from patients in attendance, was the real-life examples she was using during her presentation. As a speaker, Dani is great. She’s got energy and excitement and can hold an audience’s attention. She led the audience down a real-life path looking at different common foods, showing how to read and interpret food labels and demonstrating the amount of sugar involved in most meals. Excellent speaker, well organized and well received from my patients. Dani has her finger on the pulse of one of the most impactful health crisis going on in our city! Danielle is an exciting and passionate speaker. Her voice educates us about the hidden sugar in our diets and she give some great ideas to eat well and improve health. I learned a great deal from her workshop.